New development of 100 units of housing with 3,000-4,000 sq ft of ground floor commercial space. Provide 44 parking spaces at grade and in parking garage below grade. 6 stories & basement collecting and re-using storm water onsite. Rehab existing stucture to establish commercial/retail space on grd floor; upgrade apartments on the second & third floors. Alternate plan is to fully gut and re-plan apartment floors and add one floor of apartmentson top of building. New 4-story mass timber office building with elevator; see comments re: review by State of Oregon Building Codes Division DCVA required on Domestic, DCDA required on Fire service, to be installed per PWB installation requirements at www.portlandoregon,gov/water/backflowinstallationrequirements. BPM Real Estate Group announced that they plan to build at 20 story tower at 710 SW Columbia. The project on SW Broadway will include a 170 room hotel, 200,000 sq ft of office space and parking for 320 vehicles. Construction has finished at The Northwood apartments, previously known as The Kenton. The DJC published photos of the finished project. Grocery store Green Zebra announced that they will open their second store at The Elwood in the Hassalo on Eighth development. BikePortland published the third and final piece in their series about the Lloyd District. The post looked at the four bikeways it’ll take to make the Lloyd District great. Demolition has begun on the site of the Jefferson 14 Apartments, according to a post at the Portland Chronicle. 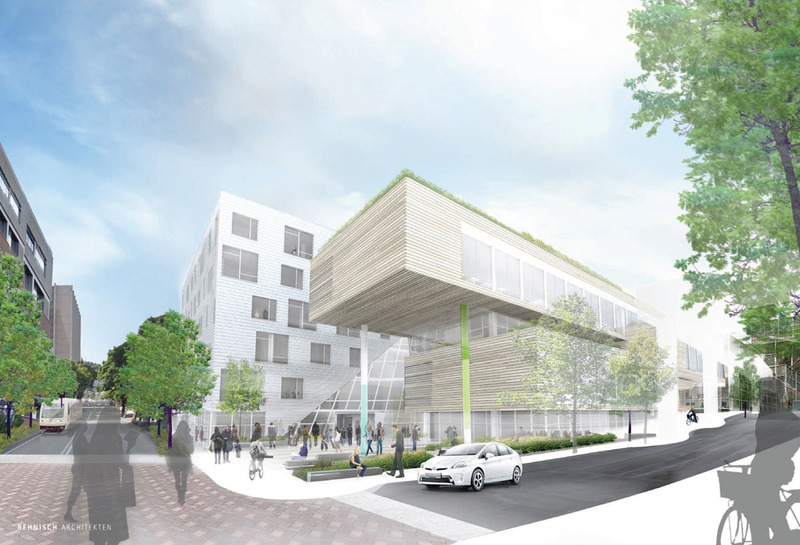 The Portland Business Journal reported on the OHSU Center for Health & Healing South which will blur the lines between a hospital and a traditional outpatient clinic. The Oregonian wrote about how staff and students are adjusting to the construction at Roosevelt High School. The Portland Business Journal toured the University of Portland’s new Beauchamp Recreation and Wellness Center. The Portland Mercury profiled the North Portland resident who is trying block the construction of a planned apartment building at 2405 N Vancouver Ave.
A demolition permit has been issued for a house at 625 NE Randall Ave, reported the Portland Chronicle. Though no building permits are yet on file, an Early Assistance was given by the City in November to a party looking at developing 4 or 5 units on the site. 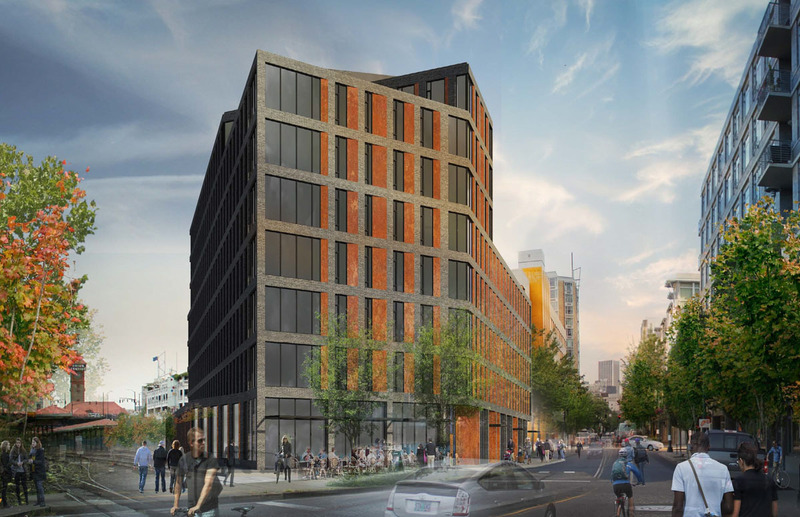 A ceremonial groundbreaking was held on Wednesday for the AC Hotel, a new hotel in Downtown Portland by SERA Architects and Minneapolis based developer Mortenson. The hotel will operated by Sage Hospitality, and marketed under the Marriott owned brand AC Hotels. The 130’ tall building will include 204 rooms. At the ground floor the hotel will include a bar, lounge, lobby and breakfast room. Meeting rooms, a fitness center and most of the back of house areas are located in a single below grade level. No on-site parking is proposed, however valet drop will be provided at the curbside. 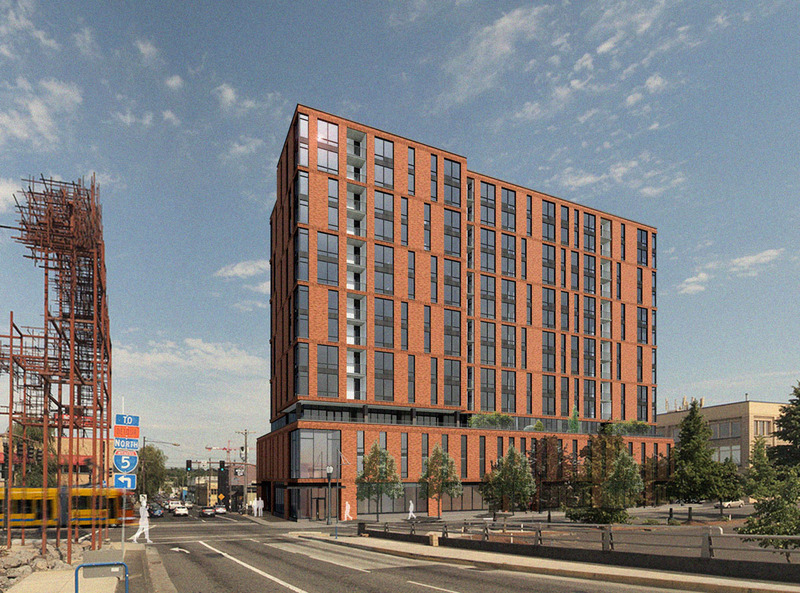 SolTerra Systems have returned in front of the Design Commission with revised designs for the Woods, a proposed 6 story apartment building on N Williams Ave. The project would include 50 residential units, with 1,975 sq ft of retail at the ground floor. Parking for 13 vehicles and 60 bicycles is proposed. The Design Commission has approved a major renovation and expansion of the PSU School of Business Administration. The project design is by the Boston office of German firm Behnisch Architekten, with local architects SRG Partnership and landscape architects Mayer Reed. The project will involve the modernization and upgrade of the existing building on the south half of the block, and the addition of a new 36,000 sq ft structure on the north half of the block. Between the two will be a new glass atrium, with entrances from plazas on SW 6th Ave and SW Broadway. 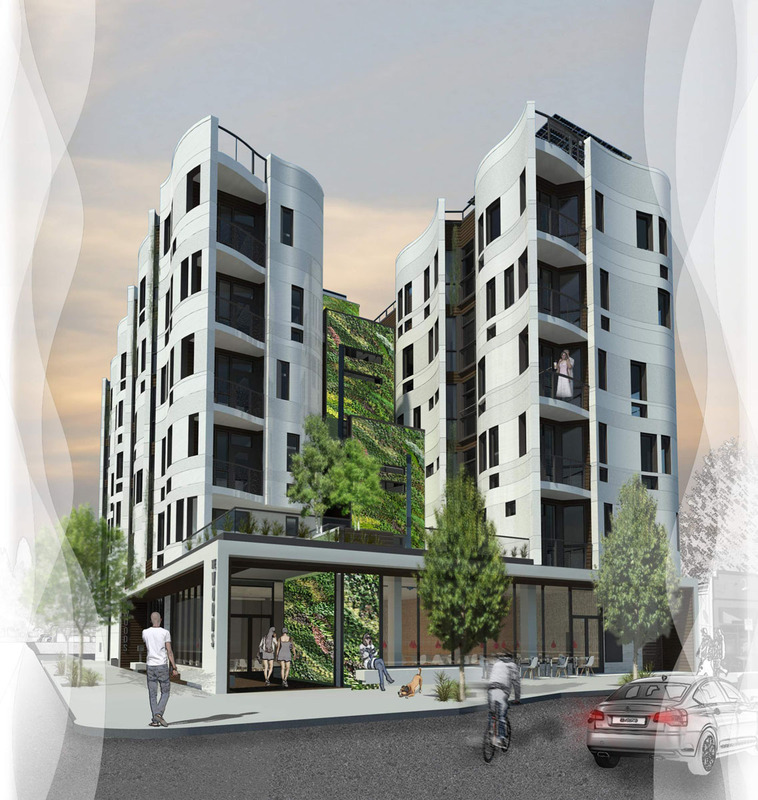 Proposal is for a four-story multi-family apartment (18) units for studio, one & two bedroom mix. Proposal is for a multi-family four story apartment with a mix of studio, one and two bedroom apartments. 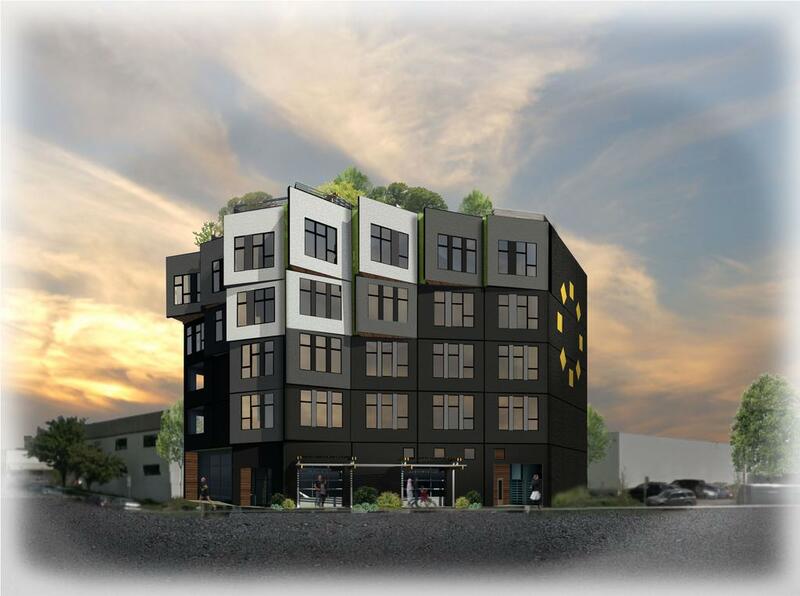 Proposal is for a four-story multi-family apartment with studio and two bedroom mix. 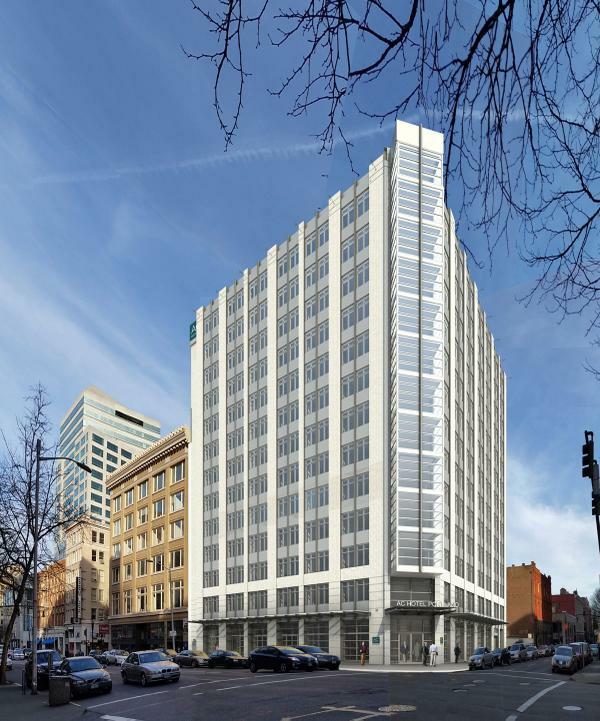 Joint development of boutique hotel (19-21 stories) and creative office space including the Temple building with below grade parking 43-100 spaces. 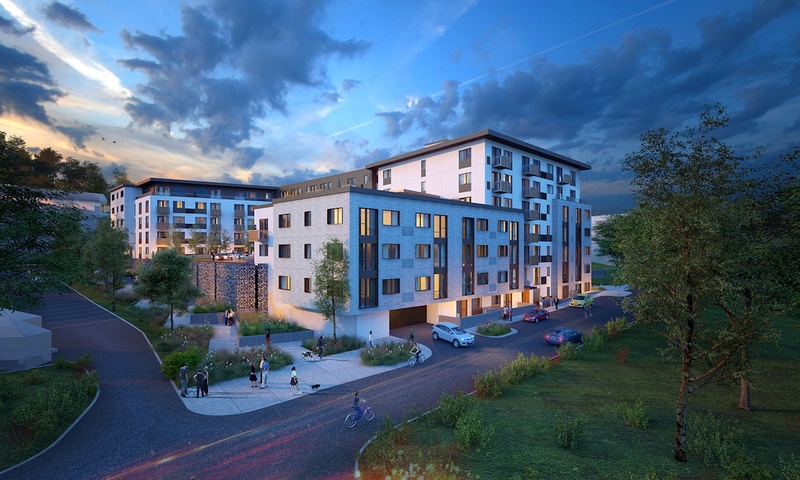 On Wednesday the board of the Portland Development Commission voted in favor of selling land at NE MLK & Alberta to Majestic Realty Company. 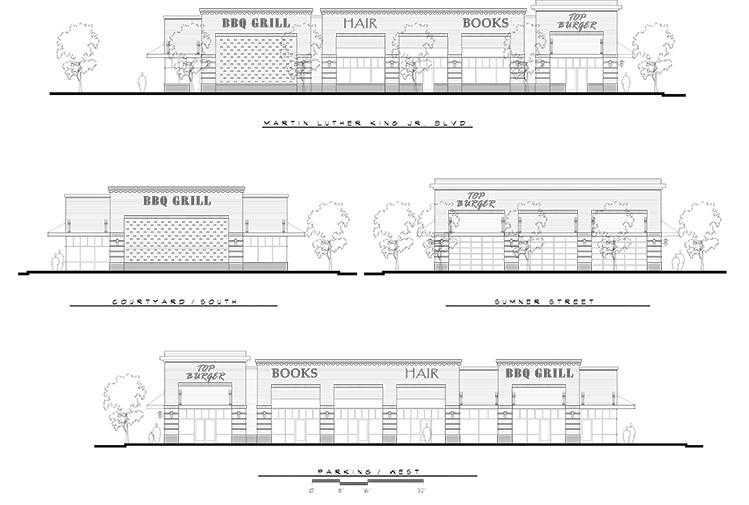 The developer intends to build a strip mall anchored by Natural Grocers on the site. The City also announced its intention to move forward with an affordable housing development at 3368 NE Martin Luther King Jr Blvd. According to a story in The Oregonian the site will be developed by Gerding Edlen and Portland Community Reinvestment Initiatives Inc. The DJC published photos of the under construction Cameron Apartments, previously known as the 12th & Clay apartments. Construction is nearing an end at 3939 SW Viewpoint Terrace. The DJC published a photo gallery of the progress. A four story, 30 unit building is set to replace an a fourplex apartment building at 3423 SE Hawthorne Blvd, reported The Chronicle. 15 members of the group ‘Stop Demolishing Portland‘ turned up on Saturday to protest the new building. 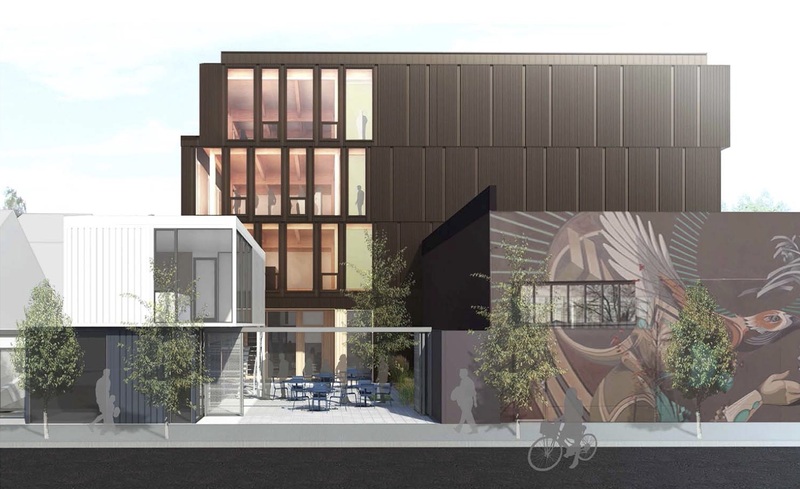 Design Advice has been offered to THA Architecture, GBD Architects and 2.ink Studio for Station Place Lot 5, a new office building planned by developer Williams and Dame. The 8 story building in the North Pearl will include 167,000 sq ft of office space, with retail at the ground floor. The building will reach a maximum height of 122′. Structured parking for 58 vehicles will be provided, with additional parking needs met at the existing Station Place car park nearby. A bike lobby at the ground floor will include space for 190 bikes, with 80 storage lockers also provided.